I had a moment of grace and clarity this morning. Recent events in the political arena have been crazy, it feels like I’ve been dreaming that the whole world has gone completely mad. I’ve been hoping and trusting beyond all sanity that it is going to come right. This morning I started to see a little clearer. I’ve recently ripped up my business website, Facebook, Twitter, Instagram, Advertising and decided to start from scratch. It’s served me really well for five years but it’s time for a change. So I’m starting again. I’m a Bodyworker and this morning I have been designing new pages for all of the different treatments I offer and I came to Lomi Lomi Massage. For those of you who have never experienced it, you are in for a transformation. 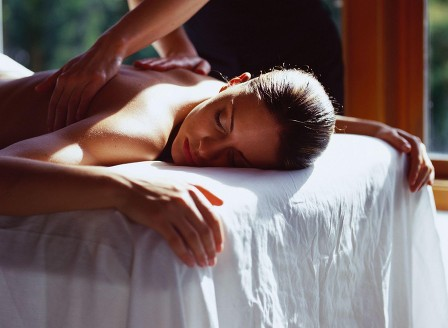 Lomi Lomi Massage is based on ancient Polynesian Shamanic ritual. It’s potent and strong magic. One of the principles is based on Ho’o Pono Pono which translates roughly as being in right standing, putting things right within yourself and those around you, your community and the world. While I was writing about Lomi Lomi I started to describe the path to Ho’o Pono Pono, which is simply I love you, I’m sorry. This is the strongest medicine in the universe. It needs to be directed inwards, towards self-love and forgiveness and outwards to everyone around you. Do this one thing and transformational magic will happen. Everything that happens within is mirrored without. The Taoists also taught this, as above so below. Love yourself and you will be able to both receive and give love more deeply to others. So what does this mushy stuff have to do with the current political insanity ?. It’s about someone who worked with the criminally insane. (You can see the parallel with the political system).Essentially following Huna Wisdom, we are responsible for everything that happens. If we change ourselves, this will be reflected in our external world as it is only truly a reflection of our inner projection. It’s uncomfortable to think we are responsible for everything. Joe writes, “I know this is tough to grasp, let alone accept or actually live. Blame is far easier than total responsibility, but as I spoke with Dr. Len, I began to realize that healing for him and in ho’oponopono means loving yourself. If you want to improve your life, you have to heal your life. If you want to cure anyone – even a mentally ill criminal – you do it by healing you. What if the political wave of change is just a reflection of what is going on inside us ?. Maybe we both want and fear change in equal measure. Maybe deep down we are not sure of what we want, maybe we have insecurity around lack in our lives or fear of people who have different beliefs. Maybe deep down we are just scared, confused and don’t like ourselves very much. Maybe we have manifested our own Donald Trump, the confusion, the lies and the back stabbing. Our reality may just be based on what is being beamed out of our own internal projector room. What if we didn’t just create the monster. What if we were the monster ? It’s a big leap to go from blaming everyone else to taking full responsibility. By blaming others we are giving our power away and looking to them – government, organisations, leaders to fix the problem. I wonder what would happen if we stopped being so afraid of our own power, and that we might somehow get it wrong and mess it up ?. If we used our own power to work on the only thing we could, ourselves. Just maybe we would could load a different film tape and have a more pleasant perceived reality to watch. In view of the political change, do you want radical change in your life ?, What are you afraid of ?, Are there parts of you which you find hard to love and reconcile ?, Do you need to love and forgive yourself and others ?. Please read Joe’s article, it relates to the crazy situation that we are going through at the moment and although the answers to these questions are for you, if you feel like sharing please post your response below.